T4As can be printed individually or from a selected list. From inside the T4A itself the print button will print a t4A for just this one person/company. From the T4A list it will print the highlighted T4A and a T4A summary. If printing T4As and T4A summary, give one copy to the recipient and send one copy to CRA along with the T4A summary. The recipients copy also includes instructions on how to report the T4A information on their income tax return. If remitting T4As electronically the recipient still needs to receive a printed copy. (See next section for filing T4As electronically. *Note that the second copy of the T4A is for the recipient, and does not have the issuers CRA account number on it. 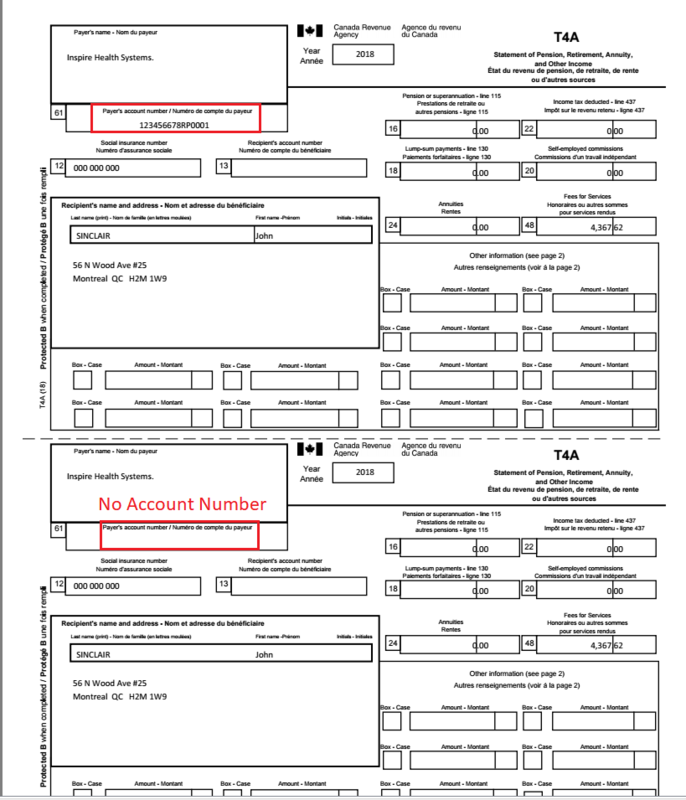 The top copy is for CRA and does include the account number. 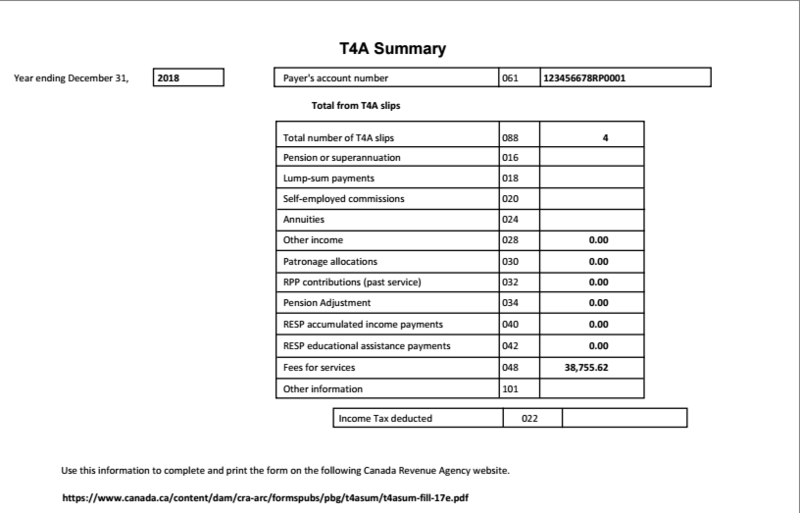 The T4A summary is the total of all amounts included on all T4As. Be sure to select print all when printing the summary.